A new zinc discovery with large-scale potential located in one of the world’s best regions for mining. 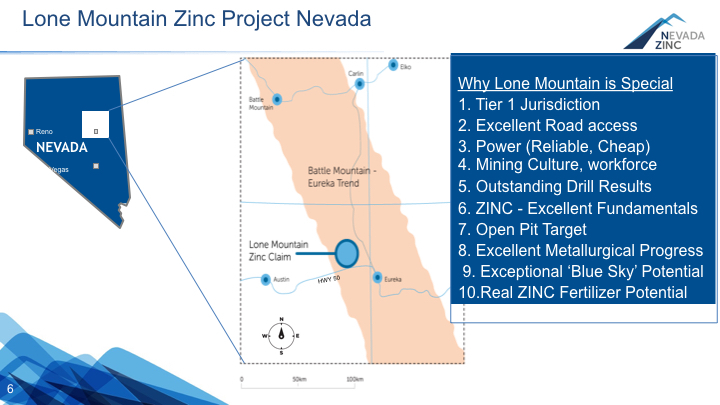 Nevada Zinc’s 218 claims at Lone Mountain are spread out over 20 square kilometres and include the historic Mountain View Zinc Mine. Between 1942 and 1968, more than 5 million pounds of zinc, 650,000 pounds of lead and 4,000 oz. of silver were mined at Mountain View. 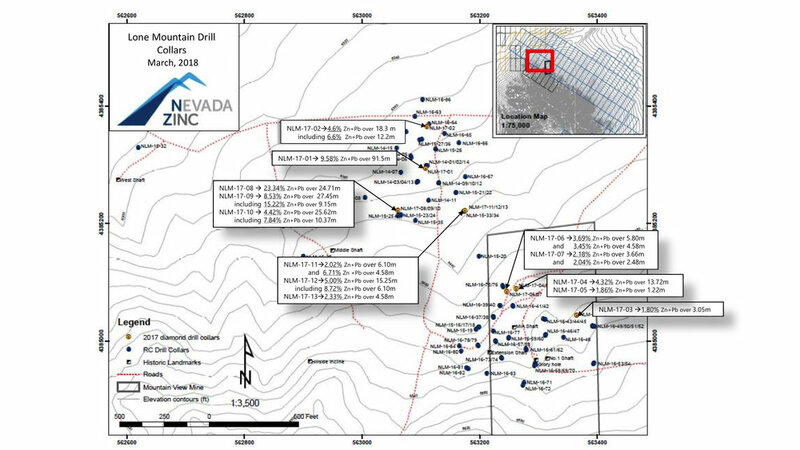 The company has now reported results from three cross sections of drill holes where multiple holes have been completed. Holes on each of the three sections intersected significant intervals of zinc/lead mineralization. Given the thickness of the intersections and some of the grades, the company continues to believe it will emerge as a focus discovery story for 2016.